Chris Kiple believes in the power of mentors. Kiple has worked as a fundraiser, a lobbyist, a corporate attorney and a small business owner (he co-founded the Foggy Bottom Grocery – FoBoGro – in D.C.). 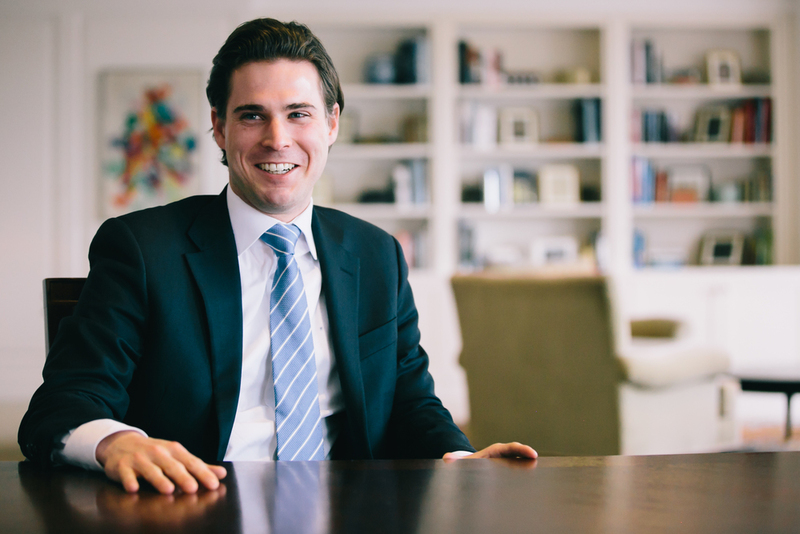 For the past two years, he’s been working in private wealth management, guiding the investment strategies and philanthropic portfolios of high-net worth individuals. He’s warm and charismatic, happy to share his story. Born and raised in Lincoln, Nebraska, Kiple has called Washington, D.C. home since college brought him to the east coast (he has a BA and JD from George Washington University). In addition to serving as the chair of City Year Washington D.C.’s associate board, he also sits on the Jete Society Steering Committee of the Washington Ballet – he likes to say that City Year is reality, and that the Ballet, the arts, is a break from reality. He’s passionate about both. Red Jacket Society donors make the service of City Year AmeriCorps members possible. “Education is an equalizer,” he says about his commitment to City Year. “Education can show people what they’re capable of, it can create opportunities and connect them to the broader world – and when they feel connected, they feel a need to improve and engage with it.” The sense of community City Year creates, he says, is built on feelings of mutual respect and responsibility, especially among the teams of young AmeriCorps members who share goals and experiences during their year of service. He admires corps members’ ability to translate into action the empathy they have for students in high-need schools. 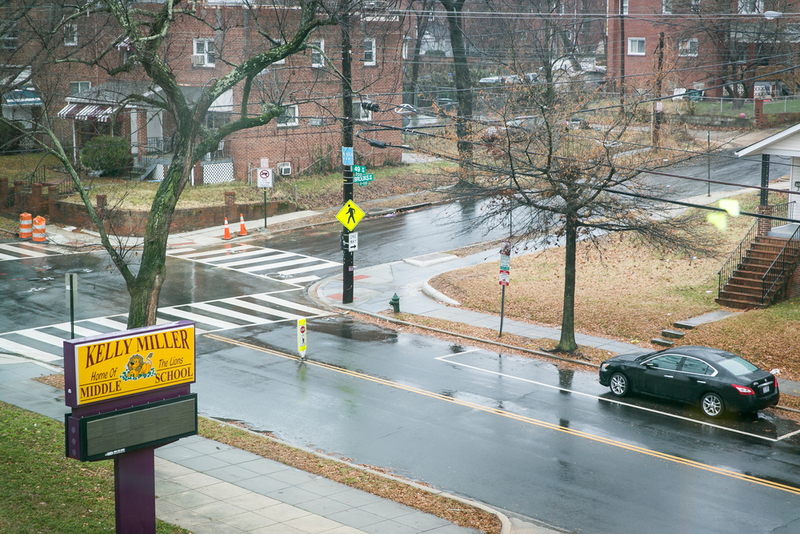 Kelly Miller Middle School is about four miles due east of the U.S. Capitol – a straight shot down East Capitol Street, across the Anacostia River and almost to the Maryland border. There is no one name associated with the school’s neighborhood, though it draws its 500 students from Deanwood, Burrville, Grant Park, Lincoln Heights and Fairmont Heights. The school, which was built just 10 years ago, is a gleaming structure of brick and glass. It sits a hundred yards back from a busy street in a mixed-income residential neighborhood, where the streets are lined with modest brick row houses. Of the school’s sixth, seventh and eighth graders, 97 percent are African-American, and 99 percent of students qualify for free and reduced lunch. 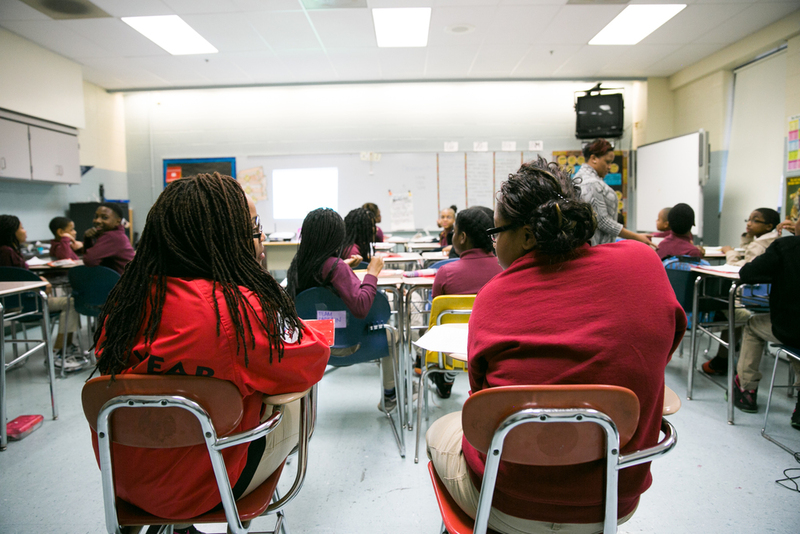 This school, like the majority of schools City Year partners with, has struggled academically. Though the school’s performance has improved in recent years, it remains among the lowest 40 performing schools in the district. Last year, for example, only 35 percent of students had mastered grade-level standards, or were considered “proficient,” on the D.C. assessment, a score that demonstrates significant progress: the proficiency rate has nearly doubled since 2010. Abdullah Zaki, the principal at Kelly Miller since 2010, has created a strict culture around student behavior that’s resulted in a very orderly building: students, in their maroon and khaki uniforms, are expected to walk in straight lines in the hallways, stay seated during lunch and remain silent during transition periods. Teachers and staff seem to have a sixth sense for trouble – when groups of students congregate in the hall they appear to kindly but firmly keep kids moving along. “No, baby, you go on and get to class,” a teacher says to a student. Two other schools in the neighborhood were closed this year, so many students are new Kelly Miller and its culture. 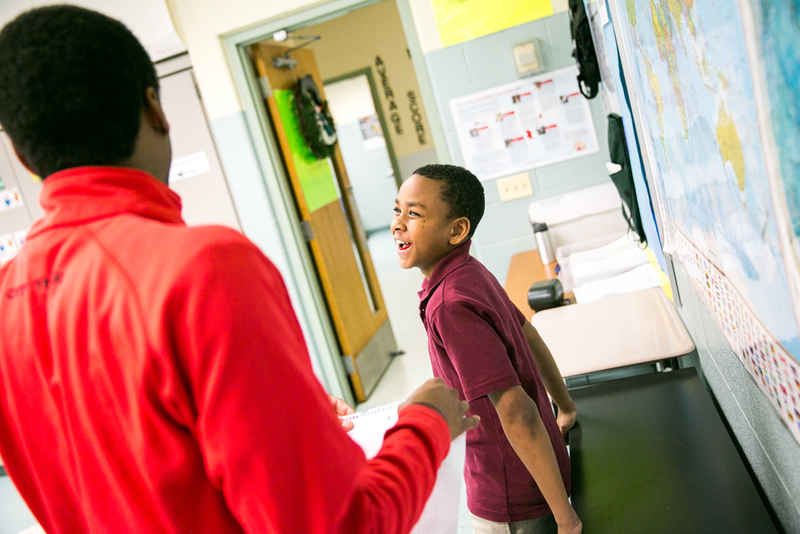 Principal Zaki relies on the City Year team to reinforce his high expectations, but he’s also given corps members the space to celebrate positive behavior. "Every day I strive to be an outstanding student. Today I will be respectable, responsible and ready. Today I will focus on achieving my goals. I can be successful and I will be successful And our core values will help me along the way"
Sara Duckery, one of three social workers on staff at Kelly Miller, has one-on-one appointments with 26 students each week, in between adjudicating all manner of adolescent drama. Her office is a room off a hallway on the first floor. There is paper piled on her desk and a puffy winter coat tossed on top of her chair. The space has the feeling of being constantly interrupted and returned to: when she pushes away from her desk, the chair catches her momentum and rolls away, pens stay uncapped; hers is the opposite of a desk job. Much of what she sees – he-said-she-said controversies and arguments between friends – are similar to what you’d see at any middle school. But there’s an additional layer of complication that has to do with what many students encounter in their daily lives. It shouldn’t be surprising that children who grow up in poverty have more stress in their lives on average than children who are raised in middle class or affluent communities. Research suggests that that the stress kids encounter – whether its having extra responsibility (for a younger sibling, for example), witnessing violence or being hungry – can alter the physical development of their brains, making it harder for them to fully develop skills such as concentration, emotional regulation, trusting other people and feeling optimistic about their futures. But those same researchers have also determined that it’s possible to help kids overcome the stress inherent in poverty, by supporting them to hone skills associated with social-emotional development. “You would assume that someone in sixth grade knows that they should look someone in the eye when they talk to you, but that’s not always the case,” Duckery explains. It’s just one small example of a social-emotional skill that corps members help students learn. Social and emotional learning is the process through which children and adults acquire and effectively apply the knowledge, attitudes and skills necessary to understand and manage emotions, set and achieve positive goals, feel and show empathy for others, establish and maintain positive relationships, and make responsible decisions. 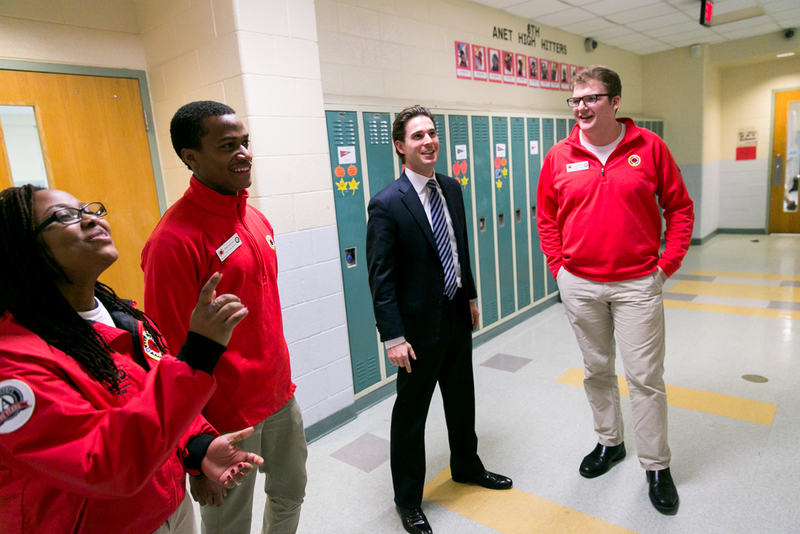 What is City Year's Approach to s.e.l.? Every City Year team has a dedicated space in their schools to charge their phones, stow their backpacks and stash their lunches. The Kelly Miller team has a large space (about 20’ x 30’) a few doors down from the cafeteria. The room has good natural light, high ceilings and posters with the team’s goals taped up on the walls. Stacked at the end of one of several worktables are photocopies of Chapter 1 from “How Children Succeed.” Throughout the day, kids stop by to say hello or ask for help, and it seems at least one corps member is always sipping coffee or microwaving a cheap cup of ramen noodles. At Kelly Miller, the City Year team dedicates focused time to help kids develop SEL skills during a club that meets at lunch. Once a week, for eight weeks, corps members guide students through a 30-minute activity that introduces students to concepts like empathy, teamwork and optimism. It’s a time to connect with students on a level that’s not academic, and to build trust outside of the classroom setting. There are ten lunch clubs at Kelly Miller, some as large as six students and some as small as just one, which means during any given week, at least 60 students are participating in the program. At Kelly Miller, nearly 30% of the school population will participate in a lunch club during the year. Corps members value the time they get to spend with students at lunch, even though they admit how challenging it can be to get a 12-year old to understand a concept as complex as empathy. And often times, what’s in the lesson plan gets pushed aside for something else on students’ minds – whether it’s something that happened in the neighborhood over the weekend or an issue in the news. City Year provides hours of training in how to guide these conversations, but sometimes corps members walk away worried that they aren’t doing enough, and they say it’s hard not to bring home some of the things kids tell them: one eighth grader told a corps member she thought she was pregnant, another student said he didn’t want to be the next Michael Brown. Corps members alert the school’s social workers to serious issues (including pregnancy), but in the moment, they do their best to relate to students with caring and respect. Over time, they hope the trust built over lunch will transfer to improved results in the classroom. HEar THREE CITY YEAR AMERICORPS MEMBERS SHARE THEIR STORIES.